Today is not only Veteran's Day, but is the 100th Anniversary of the end of World War I. There will be an event and parade honoring our veterans starting at 11am at Plaza de Cesar Chavez. 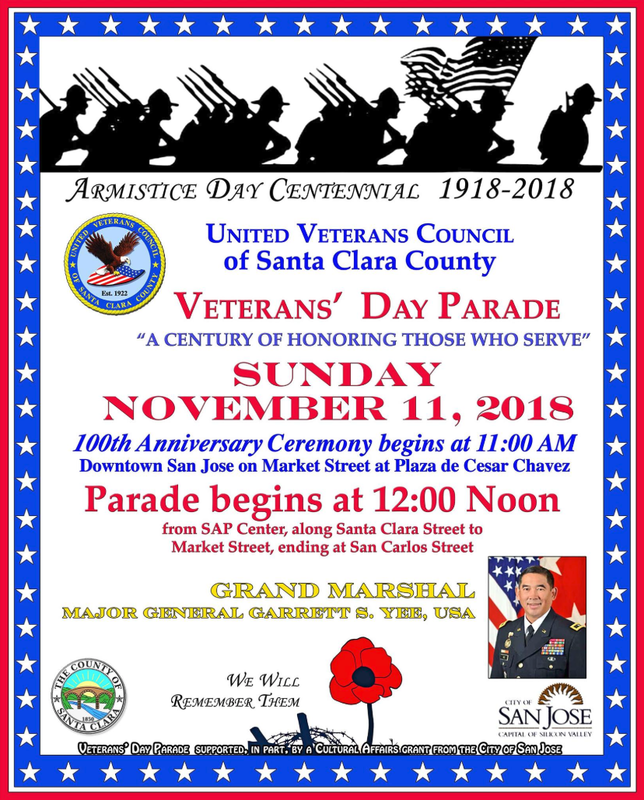 The parade will begin at noon from the SAP Center and run from Santa Clara to Market street. For more info, here is the Facebook page for the event.